Single turret slitter rewinder with automatic no-stop change and unloading automatic trolley. 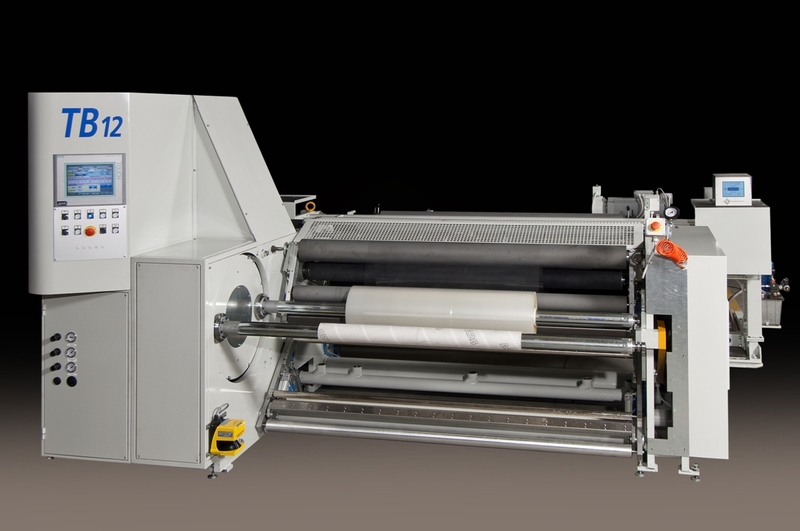 Machine for rewinding presetted lenghts with or without trims from a jumbo roll. Very useful in case secondary process, like micro/macro-punching, are required.